I am finding the cleanliness a great feeling and it is reducing the frequency of needing to shower - which is better for my skin. 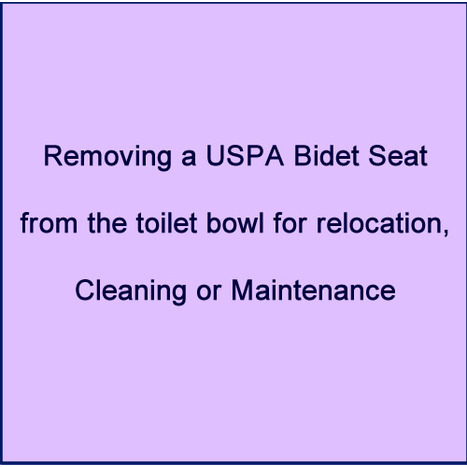 Combined Bidet Toilet Power and Water Integration kit. Combined Bidet Power and water Integration kit. 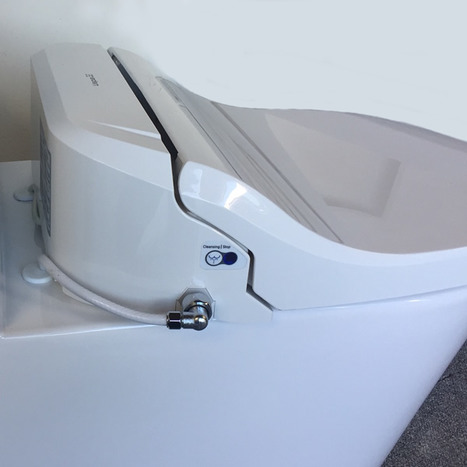 Utilising an IP68 waterproof 3 pin inline 230V 16A connector and 8mm microbore water pipe with service valve enables both power and water to be connected inside the back of the toilet , avoiding the need to "chase in"water pipe supply and electrical spur on the outside of the toilet. 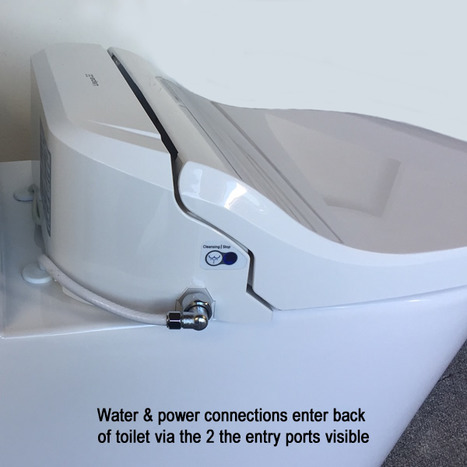 Enables fast connection / disconnection of water and power to the electronic seat. 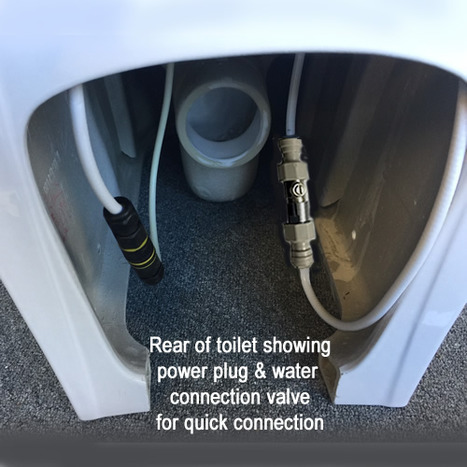 The toilet pan has 2 small additional holes at the rear of the pan to accommodate the electrical cable and micro-bore water pipe. 1 x 1/2"BSP swivel nut elbow connector with 8mm compression connection. 1 x IP68 16A 230V waterproof inline pug and socket. White 3 core power cable to seat. Please down load the Service integration kit step by step installation guide available in the down load section on this page. 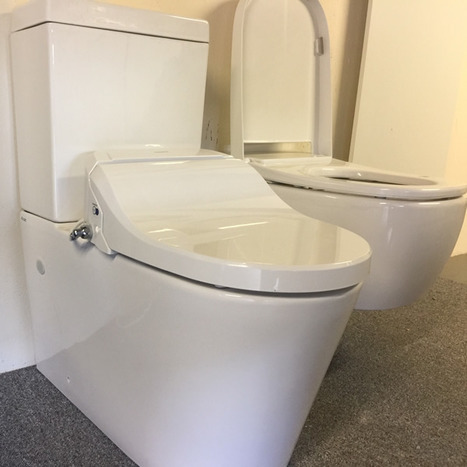 This kit is only sold when purchased with one of our compatible combined bidet toilets.